I feel like I should start off with a bit of a disclaimer, this is not a Cat & Bones replacement. It has a completely different feel and pacing. While I enjoyed The Beautiful Ashes, I have to admit that the tone confused me. The genre is listed as a New Adult, and while the character fits that age numerically, the tone seems much younger. Granted I haven't read very many New Adults, but I just was expecting something a bit different, older feeling perhaps. I guess I just wasn't expecting Ivy to sound and seem like every other YA aged character. Don't get me wrong, I read a lot of YA, but for this to be labeled something different, I was expecting to see that. This confusion plus my lingering attachment and hope for a Cat & Bones replacement, it did take me longer than I had hoped to get attached to the story and characters, but luckily that was only temporary. So, once I was able to put my preconceptions aside, I fell into the story and this new world. The world building was pretty incredible, and complex. Everything happened in a whirlwind, almost too fast, but it never tipped over that scale, which I loved. Once I fell into the story I was hooked, and I loved both the world and Ivy. She's both strong and yet so vulnerable at the same times. She makes the right choices over and over, and while they may not always be for the reasons the others want, she still grows and moves forward with each new step. Considering how much was thrown at her in such a short time, it's impressive that she wasn't a crumbling mess to be honest. That being said, she was dealing with so much, so I did appreciate how the romance was much more of a slow build. It just seemed more realistic that way. Even so, I really look forward to seeing more from her and Adrian in the next book. 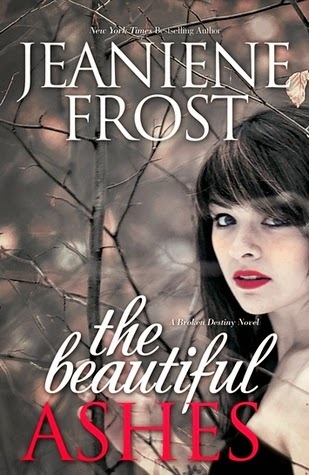 The Beautiful Ashes is a whirlwind of a start to this new series from Jeaniene Frost. All indications point to this being one heck of a ride. I can't wait to see more of this world and how things will unfurl. If you enjoy a unique paranormal story with strong characters, then this one is for you.